Maria Stadnicka is a writer and freelance journalist based in Gloucestershire, United Kingdom, currently studying Creative and Critical Writing at University of Gloucestershire. She is interested in historical trauma, social identity, the ethics of memory and the process of writing, as well as politics, semiotics, investigative journalism and art history. Between 1996 and 2003 Maria lived in Iasi and Botosani, Romania and won 12 Romanian National Prizes for poetry, including Porni Luceafarul… First Prize for poetry collection and Convorbiri Literare Publishing House First prize for poetry collection, T. Arghezi – 1st Prize for poetry and V. Alecsandri – First Prize for poetry. She worked as a radio and TV broadcaster, presenter and editor in chief at Radio Hit, Radio North-East and TV Europa Nova and was a member of the literary group Club 8, Romania. In 2003, Maria moved to England and became member of the Stroud Writers Group, Gloucestershire. She read poetry in Bucharest, Timisoara, Iasi, Botosani, Suceava, Tg. Jiu, Sighisoara (Romania) and Abergavenny, Bristol, Cheltenham, Edinburgh, London, Oxford, Plymouth, Stroud, Stourpaine, Winchester (United Kingdom). She recently performed at Edinburgh Fringe Festival, Pembroke College, Oxford, Tears in the Fence Poetry Festival, Plymouth Language Club, Cheltenham Poetry Festival, Stroud Book Festival. 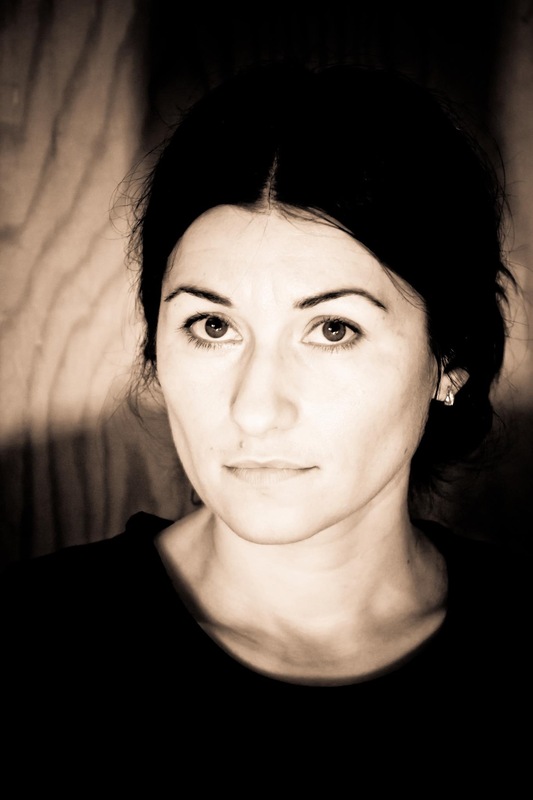 She is a poetry reviewer for Saboteur Reviews and her work appears in International Times and Dissident Voice. – Axon, Meniscus Literary Journal, Social Alternatives, TEXT (Australia). – O-Zone Friendly (2002) poetry anthology (Iasi, Romania ISBN – 973-99824-7-6). – Pamphlet 15 – Change and Permanence (2012) Stroud Valley Arts, England. – Pamphlet 15 – Trust and Betrayal (2014) Stroud Valley Arts, England, 2014. – Short Story about War (2014) poetry collection (Yew Tree Press, England, 2014 ISBN 978-0-9562038-4-7, available here). – Stroud Poets (2016) Pamphlet I, poetry anthology, Yew Tree Press, UK, ISBN – 978-0-9956603-0-4 available here ). – Imperfect (2017) poetry collection, Yew Tree Press and Two Wood Press, UK, ISBN – 978-0-9562038-5-4 – available here and here). – Exitus (2017) limited edition minipoetry collection, Smallminded Books, edited and printed by Rupert M. Loydell. – Who We Are (2018) poetry, prose, photography anthology, Vol. 1, University of Gloucestershire, Pitville Press, Cheltenham, UK. – The Unmoving (2018) poetry collection, Broken Sleep Books, UK. Available here. – Evenfall (2018) voice and text, collaboration with the composer Andrew Heath and saxophonist Lydia Kenny, Gecko Recordings London, UK. Album available on iTunes, Spotify, Bandcamp, Apple Music, Tidal, Amazon. – Who We Are (2019) poetry, prose, photography anthology, Vol. 2, University of Gloucestershire, Pitville Press, Cheltenham, UK (May 2019). – S O M N I A (2019) forthcoming poetry collection at Knives, Forks and Spoons Press, UK. – Uranium Bullets (2019) forthcoming poetry collection at Cervena Barva Press, Massachusetts, USA. – The Geometric Kingdom (2020) forthcoming poetry pamphlet in collaboration with Rupert Loydell, poet, editor, visual artist at Stride Magazine and senior lecturer at Falmouth University, UK. –National Literacy Trust Poetry Competition 2019, poetry selection supporting Rio Ferdinand, Olly Murs, Lauren Child, Casia Williams and Joseph Coelho (December 2018 – January 2019). –Migration Stories – Cultural Exchange project in partnership with University of Gloucestershire and Falmouth University, 18th November 2018, Museum in the Park, Stroud, Gloucestershire. Free Entry. –Stroud Book Festival, 9th November 2018, 7.30, Poetry Night at Stroud Subrooms. Tickets available here. – Plymouth Language Club, 18th October 2018, 7.15pm, venue Plymouth Arts Centre, 38 Looe Street, The Barbican, Plymouth. Free entry. – Museum in the Park, Stroud, 4th October 2018, 8pm, reading with Michael Laskey, Jeff Cloves and John Nicol. Free entry. – Evenfall, Andrew Heath, album launch, 21st September 2018, The Old Church, London. Tickets available here. –Tears in the Fence Poetry Festival, 14th-16th September 2018, Stourpaine, Dorset. Tickets available here. – Edinburgh Fringe Festival, 25th August 2018, 2pm, The Poets’ Republic, Scottish Poetry Library, Edinburgh. – Cheltenham Poetry Festival, poetry reading, 29th April 2018, 2pm, The Strand, 40-42 High St, Cheltenham GL50 1EE. Tickets available here. – New Bohemians Cheltenham, poetry reading, 23rd March 2018, 7.30pm, Deepspaceworks Art Centre, 11 Hamilton St, Charlton Kings, Cheltenham GL53 8HN. Tickets available at the venue. – Literature Wales, Abergavenny poetry reading, 6th March 2018, 7pm, The Hen & Chicks, Flannel Street, Abergavenny NP7 5EG. – In the Pink, poetry reading Pembroke College Oxford University, 19th February 2018, 6pm, Mary Hyde Eccles Room. Free entry. – Migration Stories – Cultural Exchange project in partnership with University of Gloucestershire, University of Winchester and SGS Stroud College, November 2017, Museum in the Park, Stroud, Gloucestershire. Free entry. – Tears in the Fence Poetry Festival, September 2017, Stourpaine, Dorset. – Inside / Outside Poetry Conference, May 2017, University of Winchester. –Political Valentines – The Politics Kitchen featuring SPIRO, Hattie Briggs and Jennifer Maidman Music, The Subscription Rooms Stroud, 2017. – Stroud Book Festival 2016. – Surgery – Jay Ramsay, Stroud 2015. 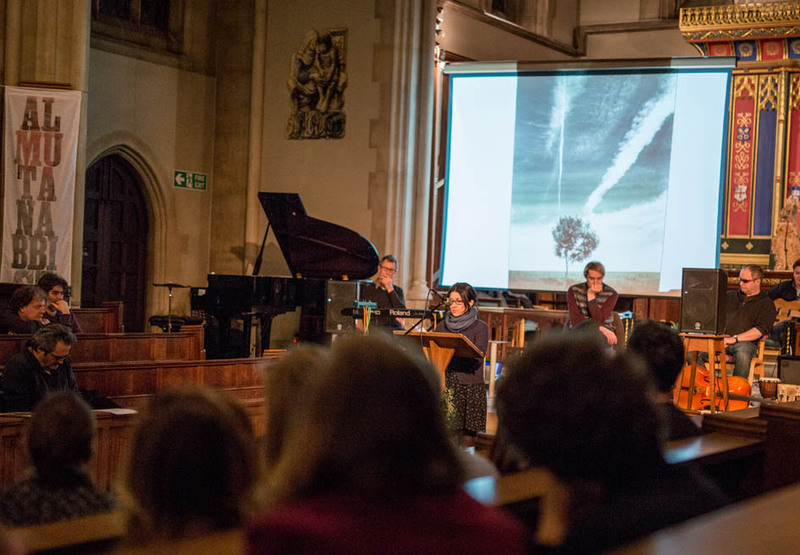 – Al Mutanabbi Street Starts Here, collaboration with Andrew Morrison, poet, University of Gloucestershire and Cheltenham Improvisors Orchestra at The Chapel, Francis Close Hall, Cheltenham, 2015. – Stroud Arts Festival, Open Studios, The Doll’s House, poetry and installations, collaboration with Rita Fenning, artist, 2014. – Cheltenham Poetry Festival 2012, 2013, 2014. – Blablablah Tabacco Factory Theatres Bristol, 2013. – Covent Garden Market, London, The Cards, poetry and drawings, collaboration with Lorraine Robbins, contemporary artist, 2013. 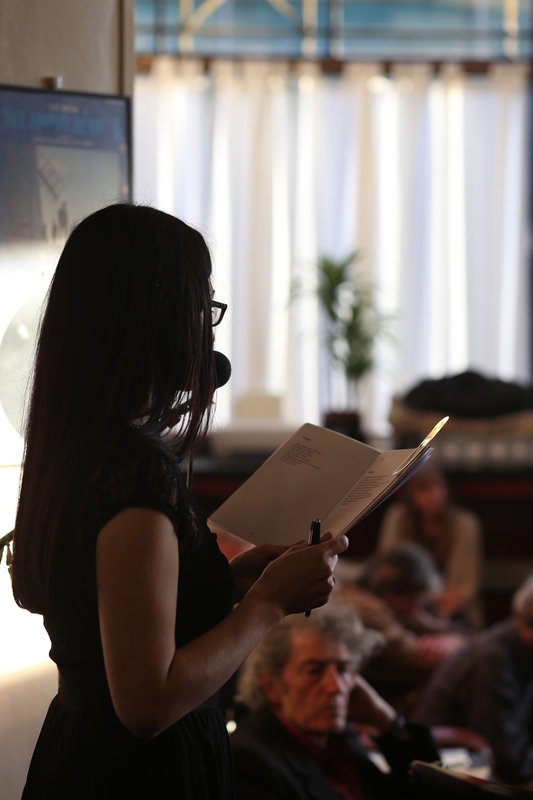 – Waterstones Cheltenham, poetry reading, April 2012. Copyright notice: © Maria Stadnicka, 2007-2019. All Rights Reserved. All works, writing, images, and information found herein are protected under the Copyright, Designs and Patents Act 1988. Any unauthorised reproduction or usage is in direct violation of the law and is strictly prohibited. No part or parts of this content may be reproduced, copied, modified, published, or constructed from in any way without the express, direct written permission of Maria Stadnicka. 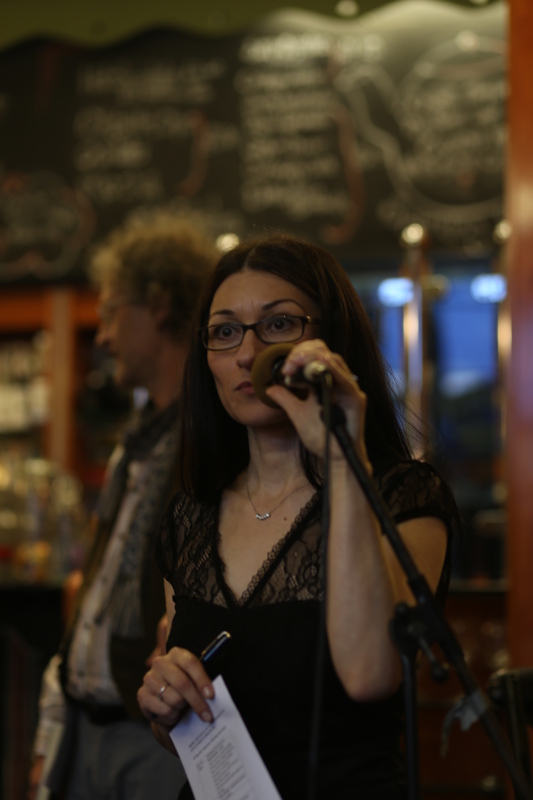 ‘Imperfect’ book launch, Black Book Cafe, Stroud, Gloucestershire, UK, 2017. Photograph ©Joss Beeley, 2017. Performance at Museum in the Park, Stroud, Glos, Oct. 2018. Thank you for your comments, Deb. It is so nice to hear you grew up around here. Framptonian comes from Frampton on Severn in Gloucestershire. And it is my gift of appreciation to a community of people of incredible generosity of spirit which introduced me and supported my cultural integration within the British socio-space. Multumesc Madalin si ma bucur sa aud ca textele iti plac. Succese multe si tie. I will research your books dear Maria and I will try to buy. I’m old fashion. I still buy my book with cash at Barnes and Noble book store.I wish in the USA. We need more poetry readings and loved the new and old books more. Thank you, John. Let me know if you can’t find them and I shall organise something for you from the UK. We will keep in touch. My best thoughts to you, Maria. Barnes and Noble is pretty good. I bought many WordPress and Writer’s cafe writers books. You must order and pay for. Ship to your house. I will research today. I will. Have some fun and be safe dear Maria. Also, I loved your verbal poetry.